Fridays are glorious, aren't they?! All in one day you say goodbye to your work week and hello to the start of the weekend. This Friday is extra special because husband and I are headed on an anniversary adventure. We'll be celebrating our first year of marriage (officially on Sunday) all weekend long! It's going to be fabulous! Follow along on my Instagram to see where we are going and what we will be up to! For now, I'm linking up with Momfessionals and a whole gaggle of other bloggers for my Friday Favorites. I'm telling you, if you blog you should join, and if you don't blog leave some of your favorites in the comments. I love looking back on the week and sorting through the best of it. 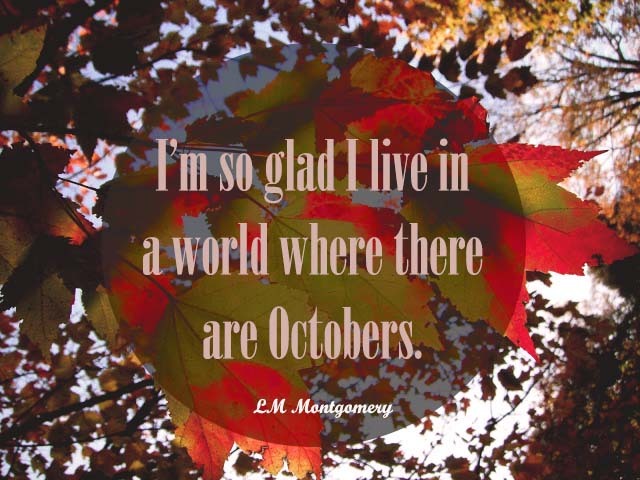 [one] October graced us with its wonderful presence. This is truly the very best month of all. 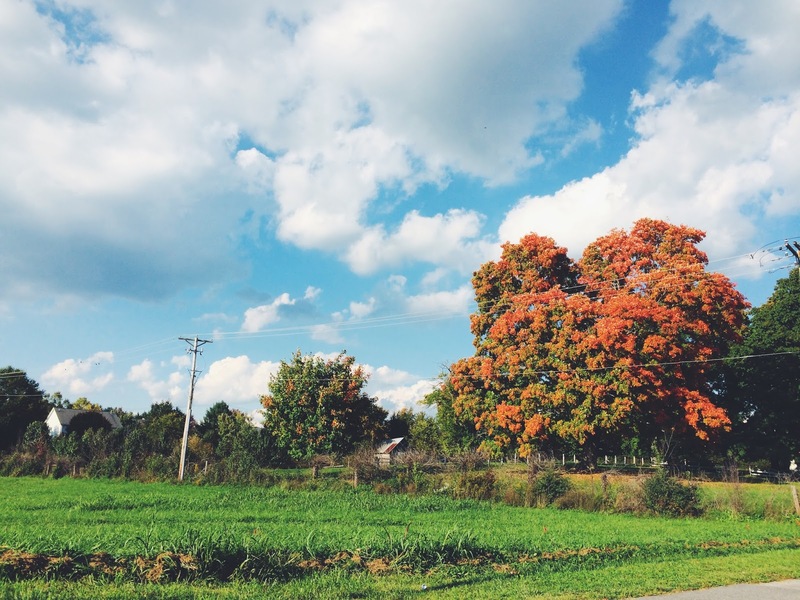 I could ramble on and on about all the reasons I am so smitten with this month, but I think I did that enough in posts from earlier this week. [two] I have finally taken the time to make month goals. I am really hoping to follow through with all of them! It always feels great to check off your accomplishments and I'm looking forward to doing that by month's end. [three] The color-stained leaves are flirting with me as they gradually start to take on colors, large trees slowly turning into brilliants shades of reds, oranges, and yellows. It makes my heart skip a beat. Keep flirting away nature, I love it. [four] Husband and I began sponsoring a little girl from Uganda! We are super excited for the blessings it will bring to both her life and ours. [five] Halloween is this month and you can't not decorate your home for it. 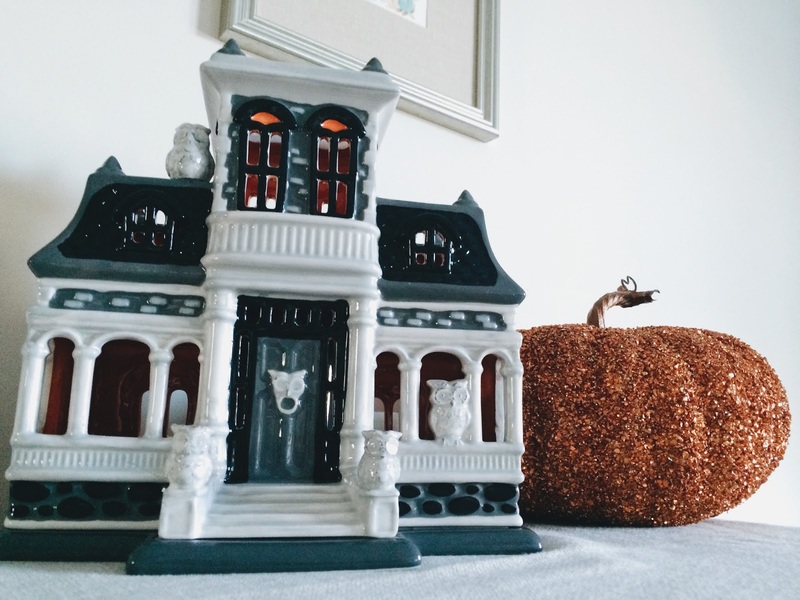 For now I've added pops of purples, oranges, and black to my fall décor, set up a ceramic, candle-lit haunted house, and pulled out the glittery pumpkin. All that's left to do is perfectly place the fake spider webs. 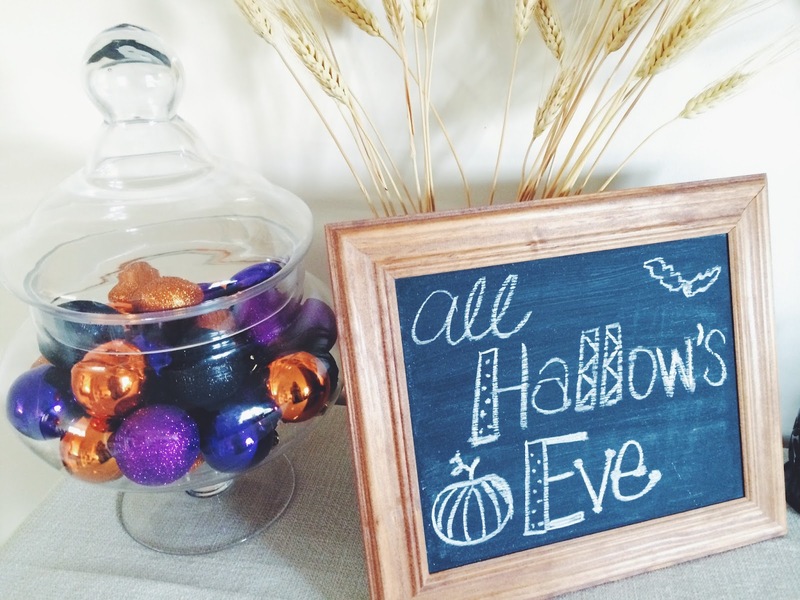 I can't wait to decorate for this holiday once we have little tots. [six] Husband and I both have new vests. Not quite matching, but I can't wait wear them together, coincidentally, of course, **wink, wink**. [seven] The cool evening and night temperatures are making for the most perfect coziness in the Hill household. 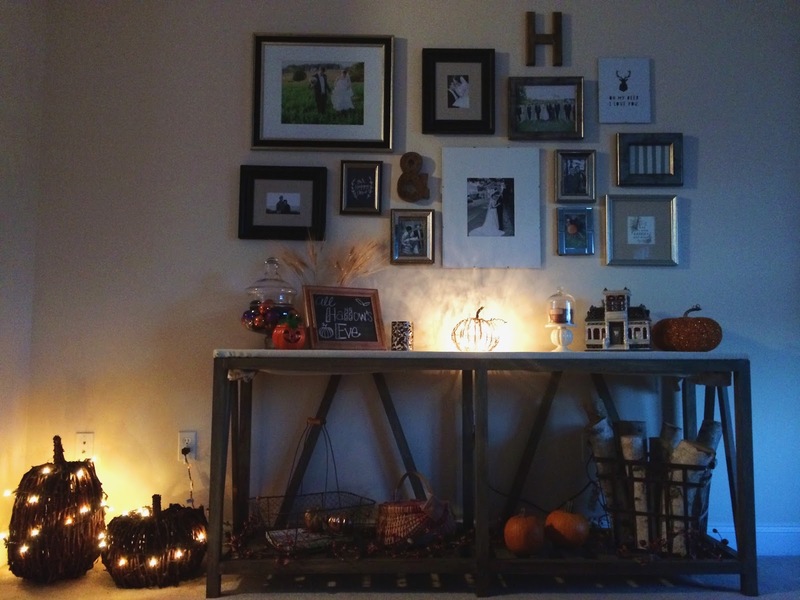 Our lit pumpkins and DIY console table topped with all things fall and Halloween really makes it all the more festive and cozier. [eight] GILMORE GIRLS IS ON NETFLIX!!! Really, who doesn't want to be a Gilmore Girl?!?! 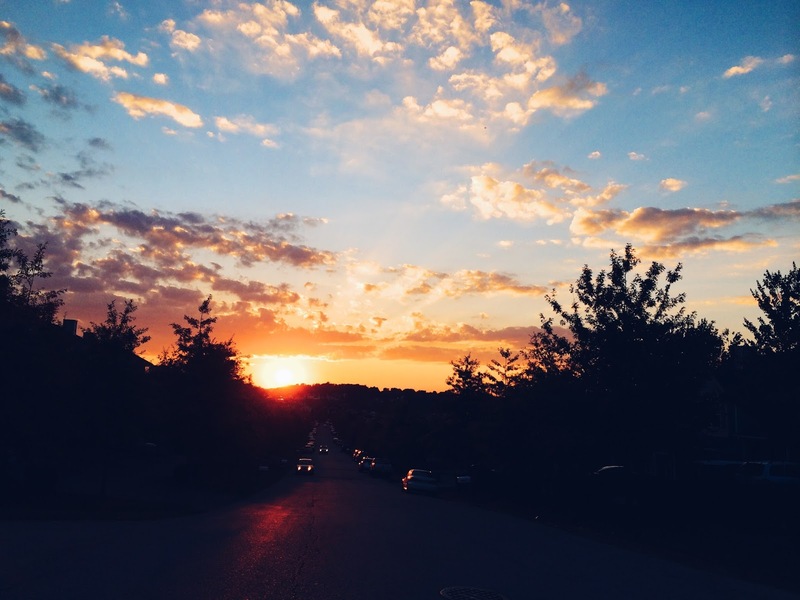 [nine] The October evening sky has been incredible. And so has the giant, orange harvest moon that shows up at night. I hope you are having a fabulous start to your Friday and that spills over into your weekend! Catch up with all the crock-pot recipes on Flour Darling for simple, no hassle meals for Saturday and Sunday!! Happy, happy Friday to you! !